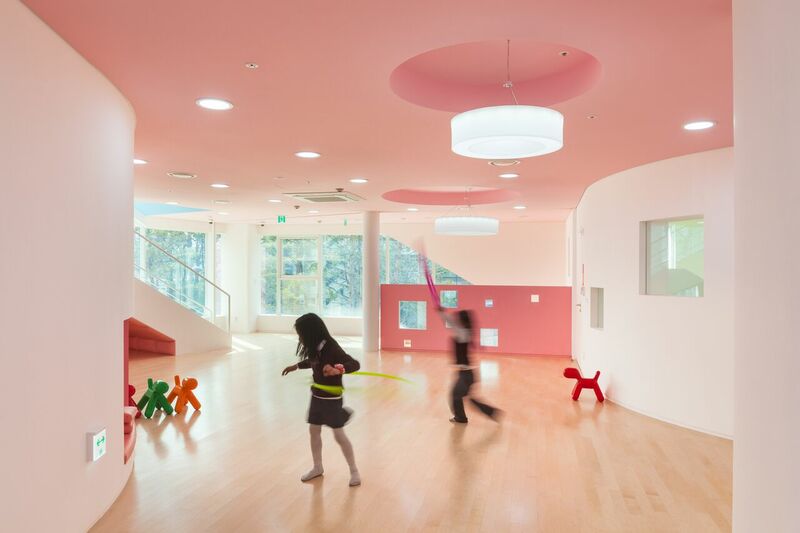 In our Education & Architecture section we have featured previously some amazing kindergartens in Slovenia, Mexico, Japan, Sweden and New Zealand. 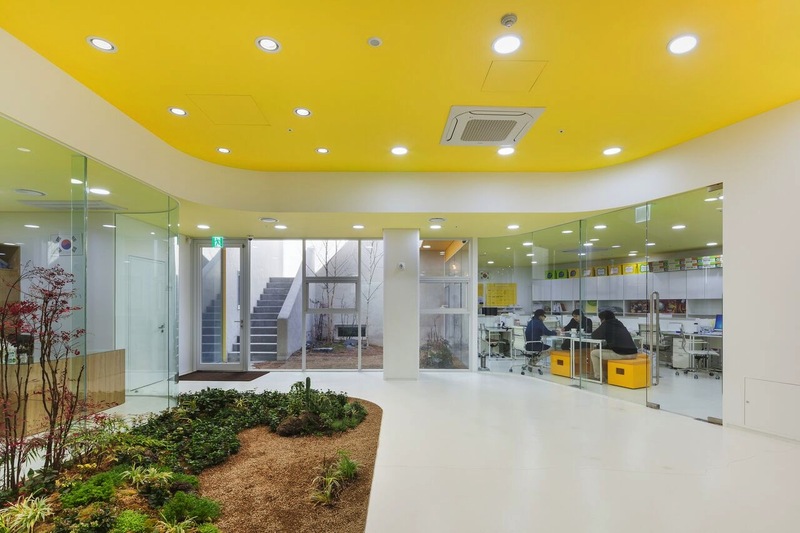 Today we will travel to the amazing city of Seoul to discover a new project by Jungmin Nam (OA-Lab): “Flower + Kindergarten“, a project that combines education, architecture and environment in the highly dense city of Seoul. This project is located in a new apartment complex, and is designed to take advantage of the surrounding green areas and open spaces to expose children to nature. Its unique location and shape has become a landmark in the homogeneous neighborhood, where every apartment building looks the same. 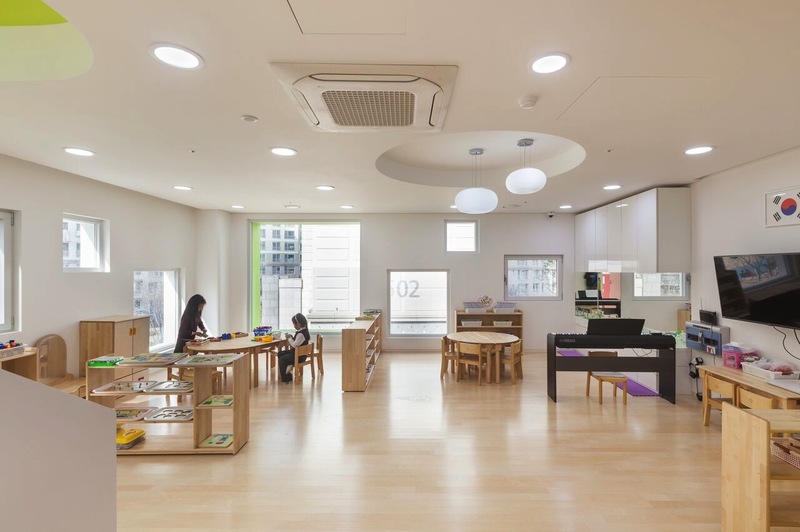 To overcome the typical kindergarten’s problems in the city, the project “Flower+ Kindergarten” searched solutions for a better educational environment. On each floor, there are three classrooms and one multi-purpose hall, that create spiral access and movement, and can also have a diverse use of space for learning and playing. The space created below and above the stairs is also utilized for children’s play-den at children’s scale. Each floor is assigned with different color on its ceiling and walls so that children can recognize the space through the color difference. 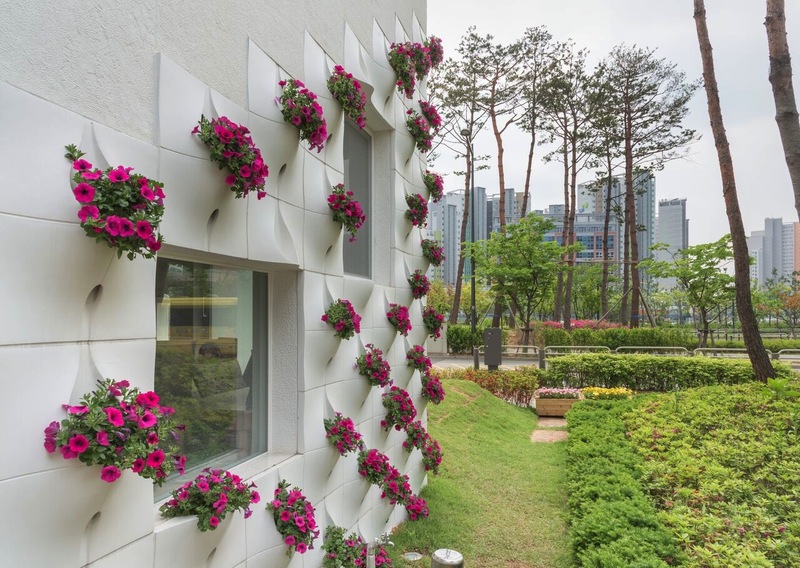 And by having planting pots as its exterior façade system, the kindergarten provides opportunities for children to grow and observe the vegetation closely. Also, the facade of the building changes dramatically accross the different seasons. The rooftop garden and sunken garden provide extra amenities for both children and teaching staff to appreciate the value of nature in their everyday life. The rainwater is gathered in the rainwater tank in the basement through the ground and rooftop garden to reuse the water for irrigation. Keep in touch as very soon we will be featuring another special school in Afghanistan.